How should Americans remember their Revolution and the founding of the nation? Was it a complete, perfect, sacred event led by a great patriot who, as American children would learn, never told a lie? Or was it part of a wider, unfinished movement for liberty—deeply imperfect but with sacred aspirations open to all people? Americans disputed the issue within decades of the Revolution itself. 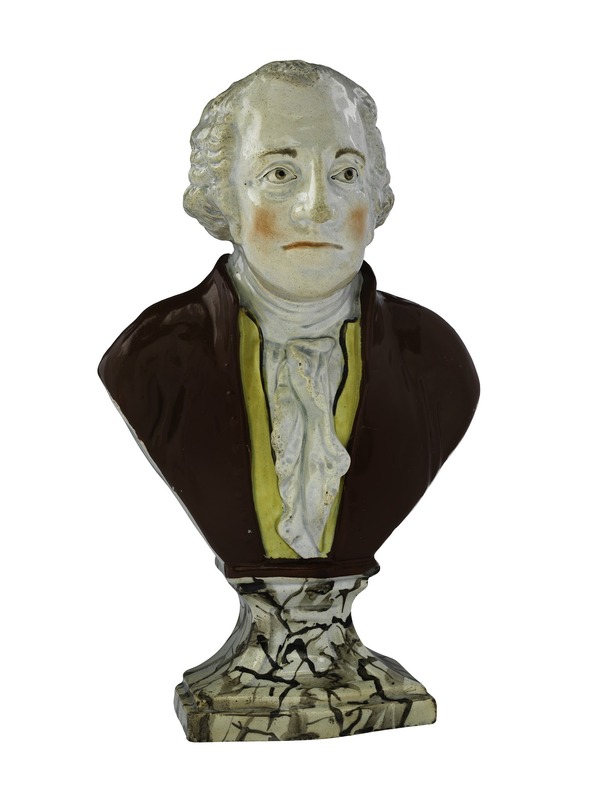 Made in England for the American market, these ceramic wares reflected many Americans’ regard for George Washington. After Washington’s death in 1799, images of the great man “ascending to glory” or in “apotheosis” became popular. Ralph Wood’s factory in Staffordshire produced this relatively affordable bust of Washington primarily for the American market. 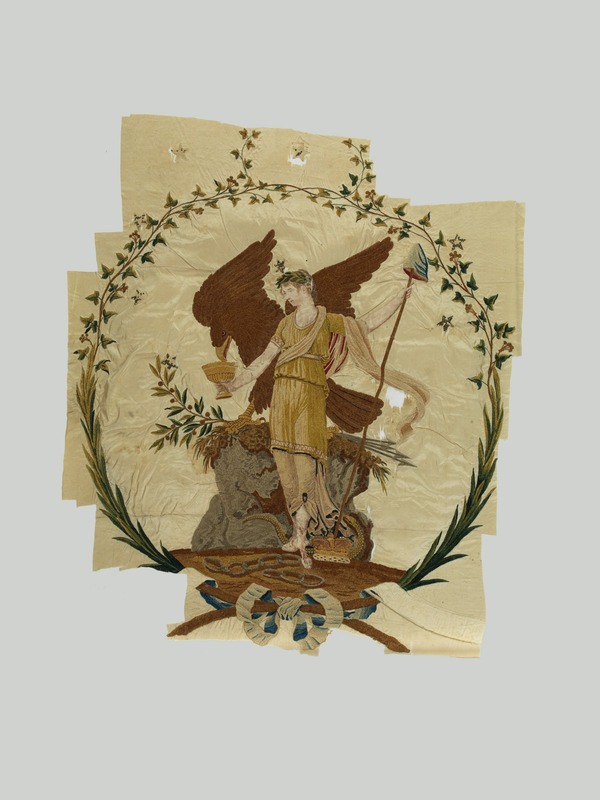 This rare silk banner was probably carried in a public parade in Philadelphia in the mid to late 1790s. 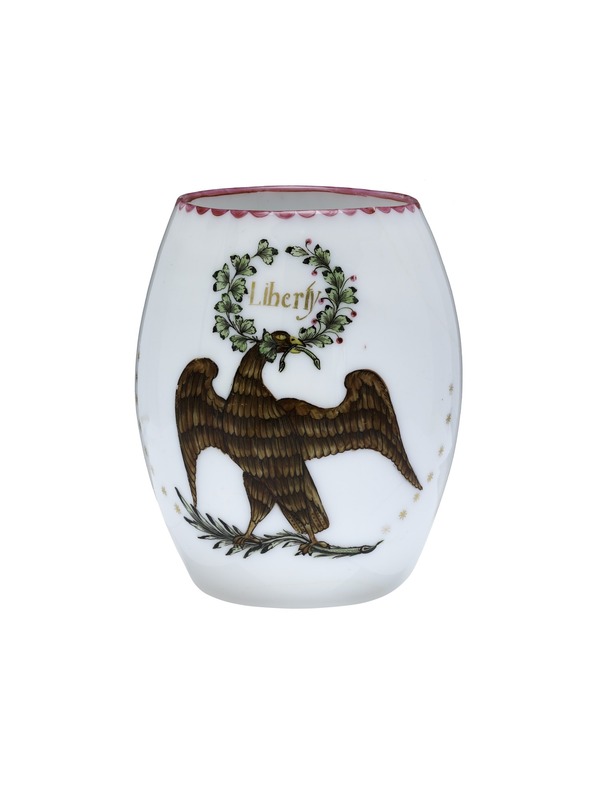 Its elaborate design suggests the importance of such festivals, which provided a place for many Americans, voters and non-voters, to express patriotic sentiments or partisan views on current events. The banner, mostly likely made by women, is embroidered on both sides, so that it could be viewed as it was carried down the street or hung from a prominent building. The Liberty figure here wears a Grecian garment, carries a pole with a “liberty cap” on it, and nourishes the American eagle—all while standing triumphant over the fallen crown and broken chains of monarchy. 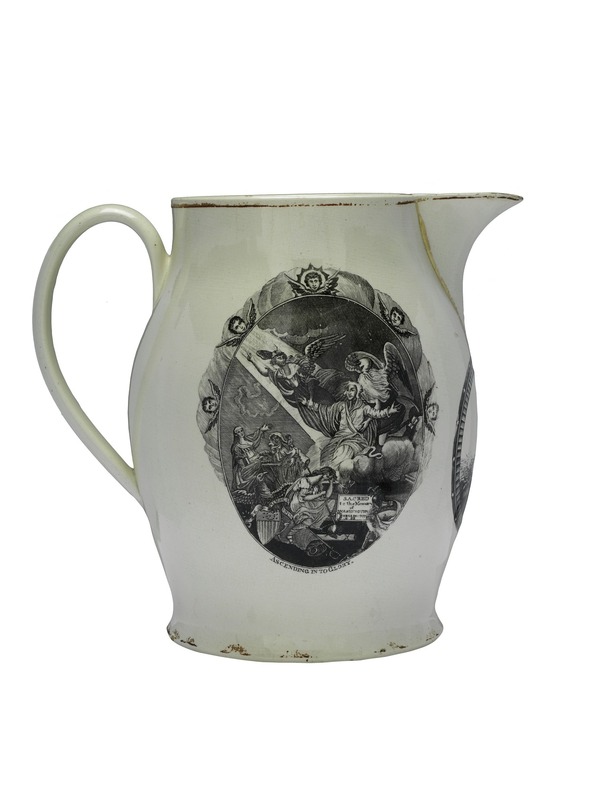 Pitchers made for American buyers celebrated notions of liberty associated with both the American and French republics in the 1790s. 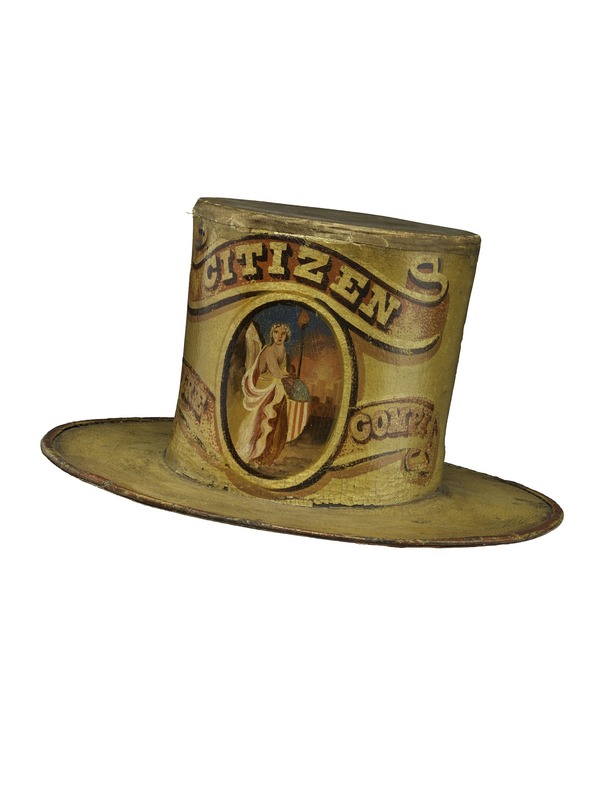 Decades later, this fire hat from the Citizen Fire Company, founded in 1836 in Harrisburg, Pennsylvania, continued the Revolutionary era’s fondness for the figure of Liberty. Yet Liberty became less popular in prints, lithographs, and other arts of the 19th century. The staff and liberty cap she carried and the broken chains she had once stood above became controversial and uncomfortable symbols of an end to slavery, an institution that many Americans were coming to defend and promote as necessary and good.